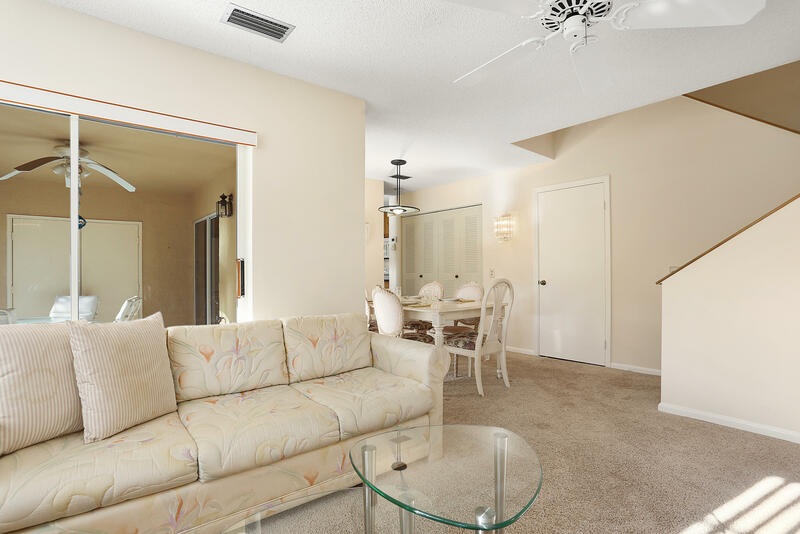 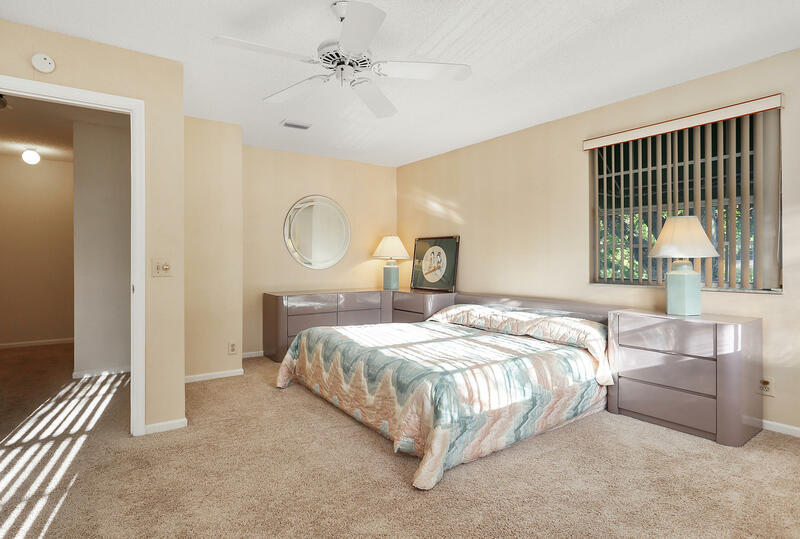 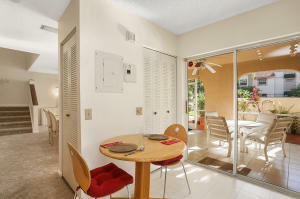 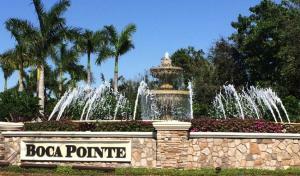 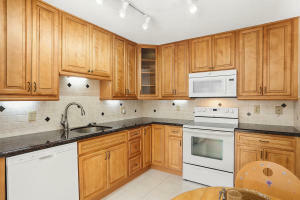 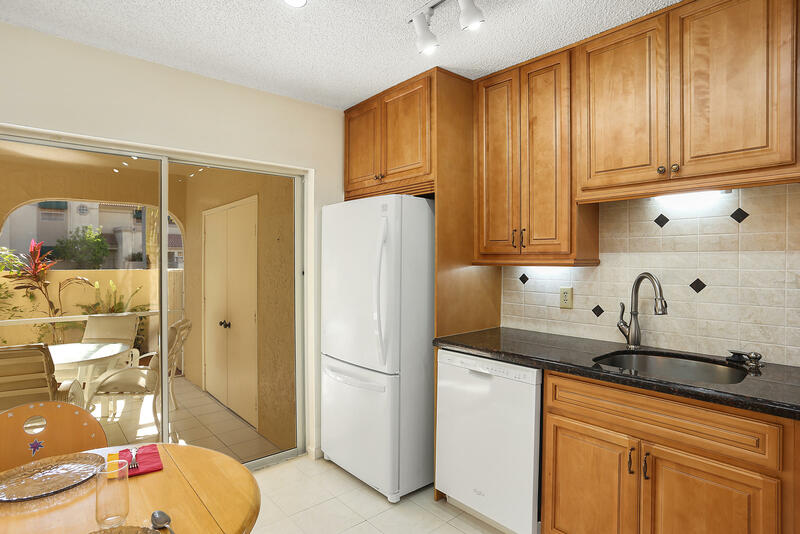 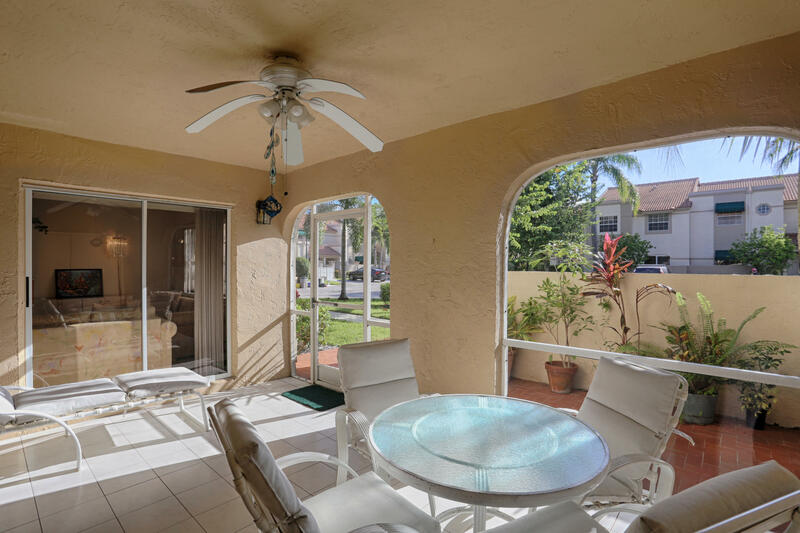 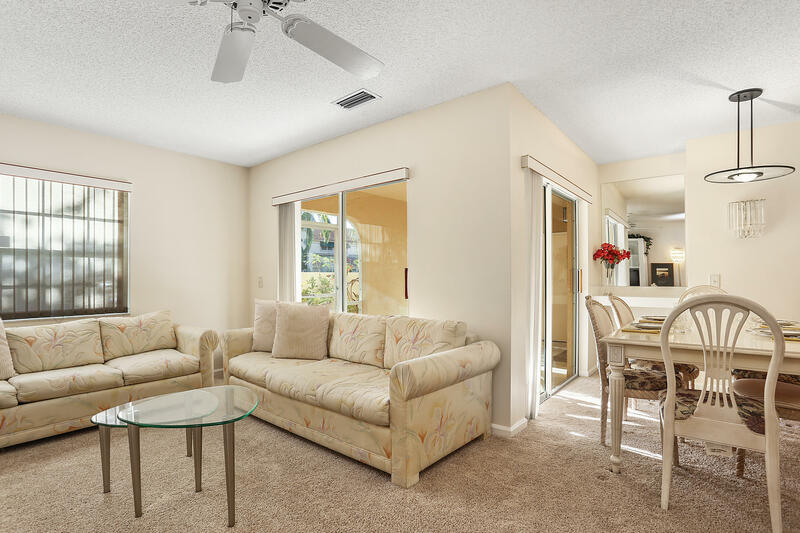 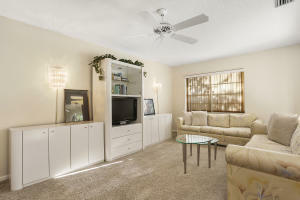 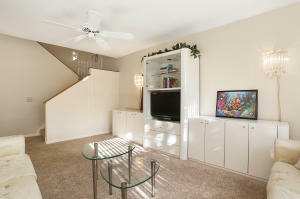 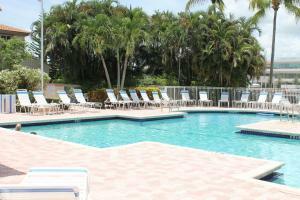 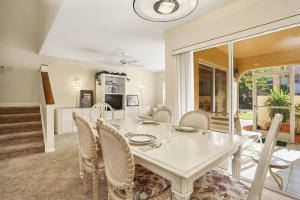 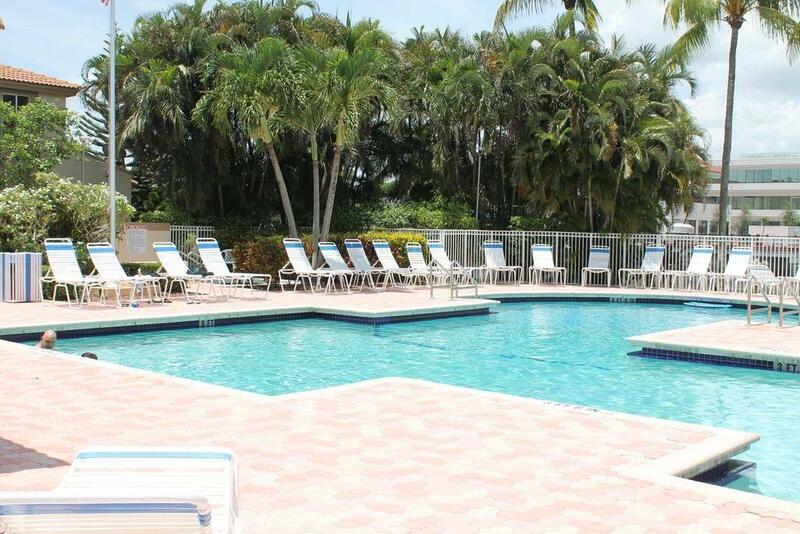 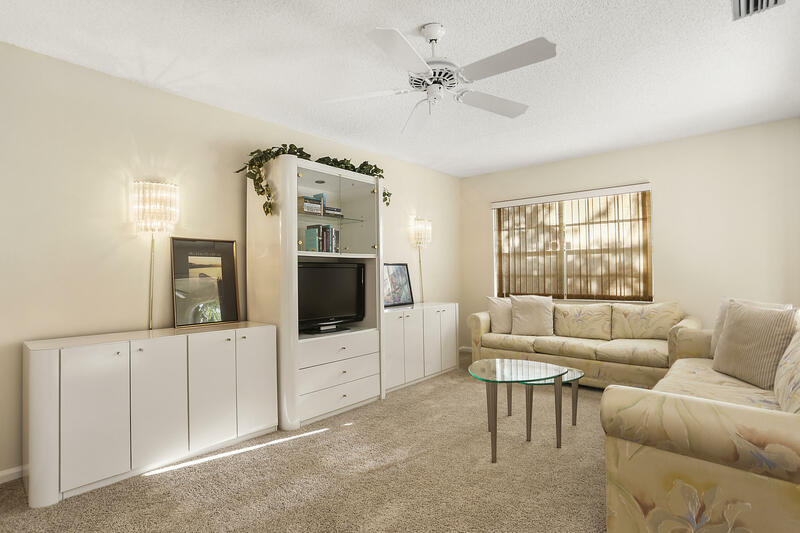 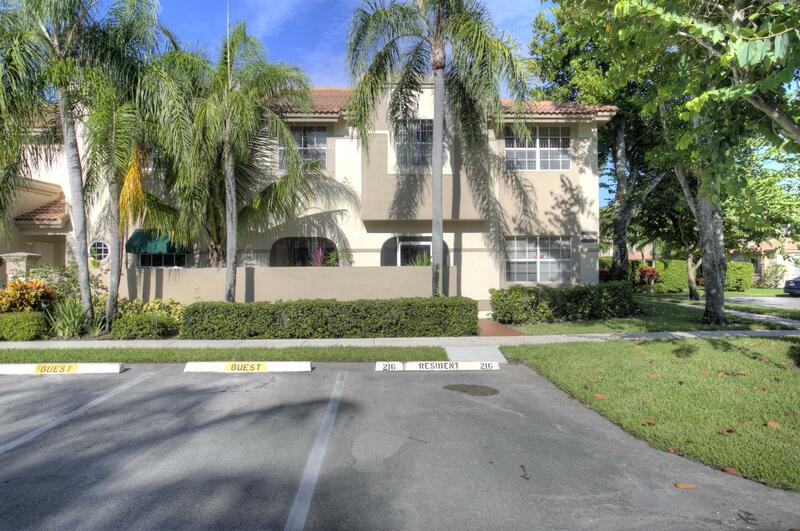 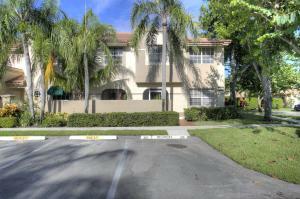 Extra Large Two Bedroom Corner Townhouse located on the corner of a quiet street in Boca Pointe. 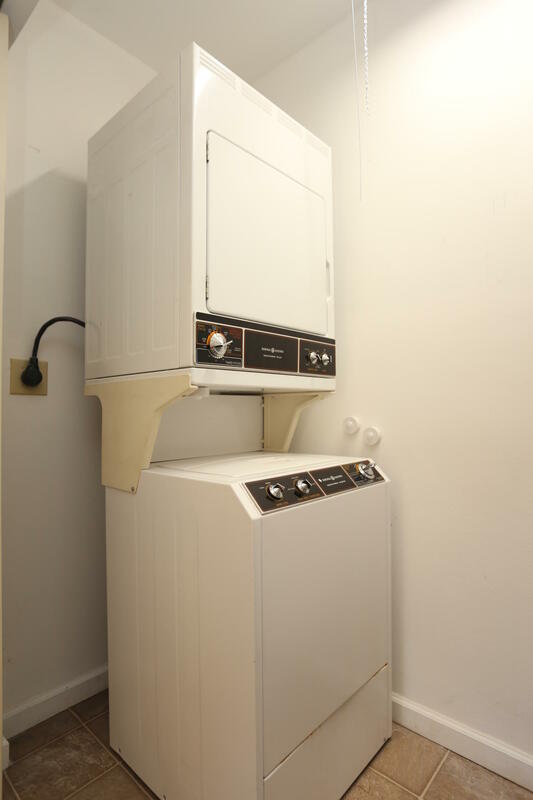 The original owners had it built as a 2 Bedroom instead of 3 Bedroom. 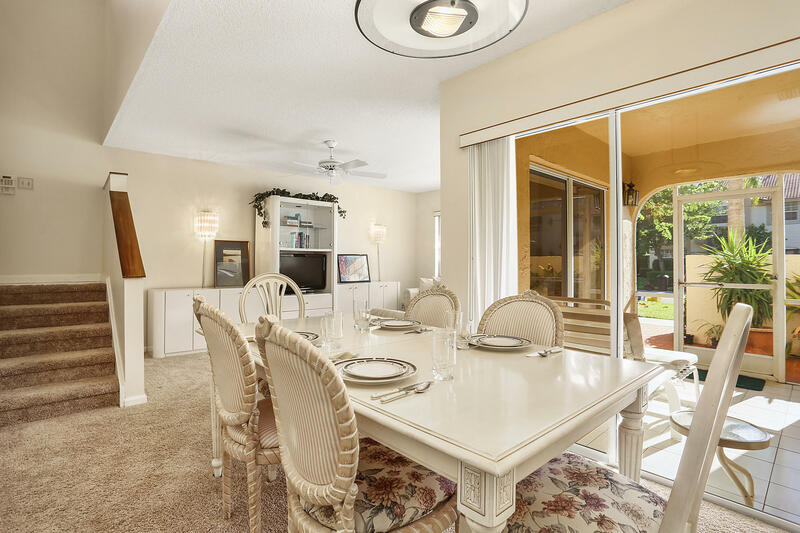 This home features a newly renovated Eat-In Kitchen, separate Formal Dining Area, large Living Room, Powder Room and large Private Screened Patio off the kitchen. 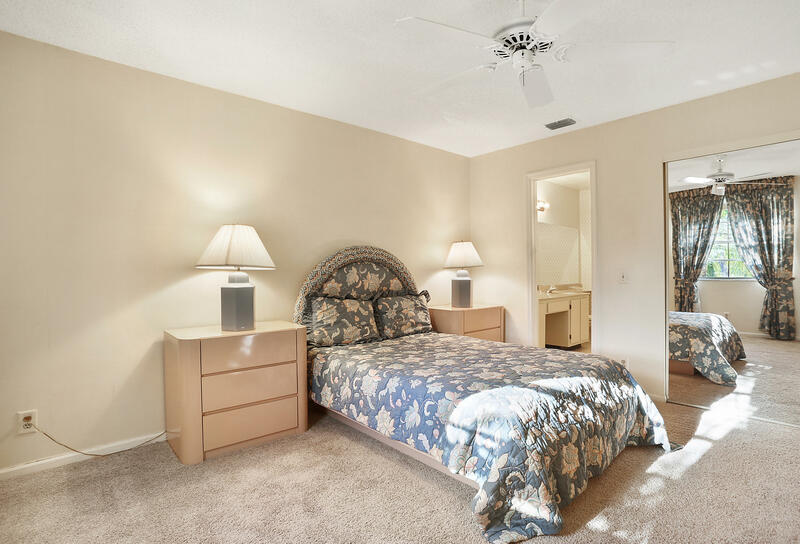 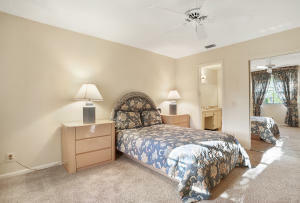 Upstairs features the Master bedroom w/huge walk in closet, large en-suite Bathroom with double sinks. Enormous Second Bedroom with room for sitting area, desk, workout equipment etc. 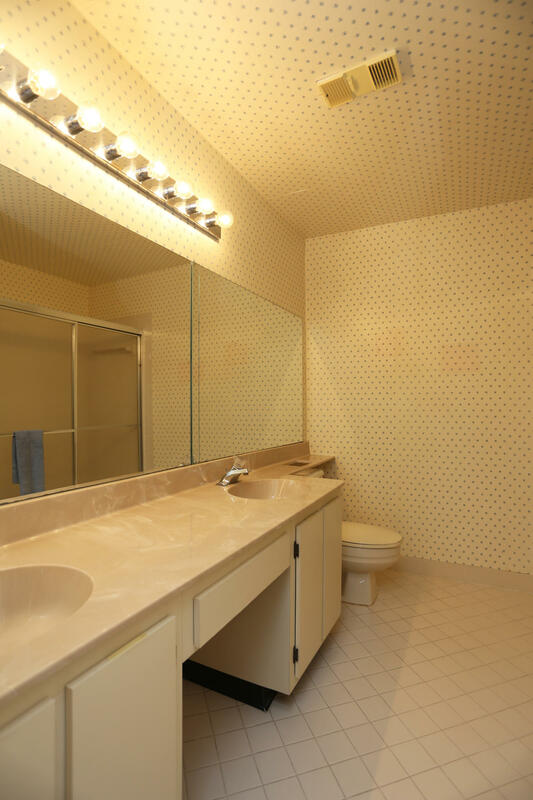 Additional Bathroom off hallway. 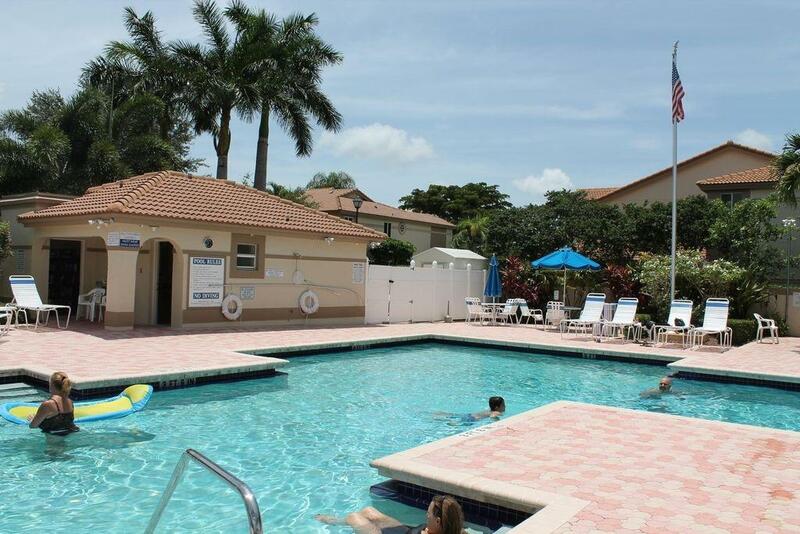 Short walk to pool. Parking spot in front.